You Call, We Haul Your Junk Away! Call 512-298-5445 for Same Day Dumpster Delivery! Got Junk? Let Us Haul It Away For You! We all accumulate unwanted junk in one way or another and then we hit a point where we want it out and gone, but how? 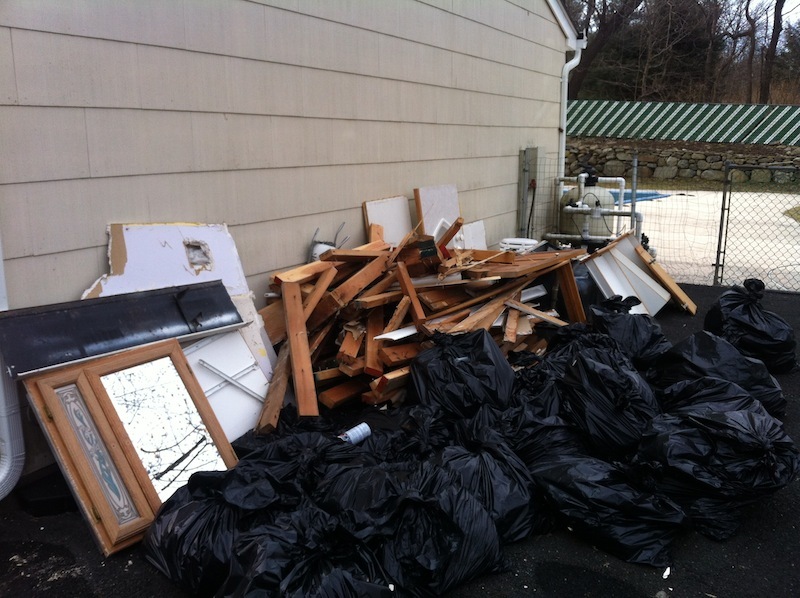 Here at RP Junk Removal Company we can remove all the unwanted waste you got lying around while you spend your time thinking about how you can use your newly cleared space. What Can A Junk Hauling Company Remove? You can even rent dumpsters, we rent containers in 20 yards because they are the most popular size. This makes it easier for you to get the right size for the job, maybe you just need a smaller one for a garage clean out or a larger one for a full home remodeling job, either way we can get it to you today! We also rent out dumpster bins for long term use for commercial business purposes, give us a call and we can help you choose the right size for your company. 20 Yards: By far the most popular size, these are good for large home or business remodeling jobs, should fit just about anything you can imagine tossing in here! We are here to help all you home owner, large or small business owners, and contractors alike, we can provide you with a one time service or long term services at great prices and fast delivery. With the world becoming more “Green” and eco-friendly we will help by recycling any recyclable materials for you to help save the environment. Like we always say, Customer Service is Key, we treat all of our employees with respect and we treat all our customers with patience and respect. Our friendly staff is here to make your trash removal experience go as smooth as possible. Being a fully licensed and insured Austin junk removal company we will be able to discard of all your unwanted waste and debris so you don’t potentially hurt yourself or anyone else. And finally we will do all of that in a timely manner but without rushing, from the 1st call you place to us to the final pick up, we guarantee you will be satisfied! We are even able to help with last minute pickups and drop offs. There you have it, the best Austin junk removal company will be able to supply you with everything you need to clear away the waste you have collected throughout the years. With a friendly smile and great price we will give you want you need safely and quickly, there is no better easier way to get your trash removed! In Atlanta Georgia call the Atlanta dumpster rental company Dumpsters.biz. For Emergency flood cleanup call ATEX Water Damage Restoration.